Microsoft (NASDAQ MSFT) would be releasing Windows 10 this summer. The new operating system is scheduled for a release this June. Microsoft have been brining in a host of changes from time to time in the Windows 10 operating system. It would be intriguing to see how the final product lines up when it is off to the market. Meanwhile, we will see how the product currently stands in the market. Here in this article, we will take a closer look at the Microsoft (NASDAQ MSFT) stock. The stock has been in news for some time now for the launch of its Flagship Windows OS. It would be interesting to see how the stock might perform once the new Windows 10 comes up in the market. Windows 10 would be the last in the Windows series. Windows has been a revolutionary Operating System and it has certainly been one of the most popular Operating System in the market. Microsoft would be hoping to make the last one stand out and it certainly seems like Microsoft is trying its best in doing so. Microsoft has brought in a couple of late changes in the product. 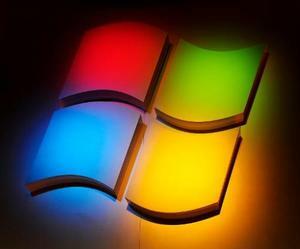 The last version of Windows would not be available for people who are currently using a pirated version of Windows 8. This was confirmed by Microsoft Authorities. Microsoft Windows 10 would have a lot of changes from Microsoft’s previous Windows version of Windows 8. Microsoft would be trying to create as much distance as possible between the two versions, due to the dismal performance from Windows 8. Windows 10 would be having a start menu option which was missing in Windows 8. It would also be having Cortuna and other sleek features which should make it a compelling product. Microsoft (NASDAQ MSFT) remains a good buy in the current market conditions. The software giants have been trading at around $44, and the analysts believe that the stock may well reach the levels of $50. It would be interesting to see how the stock might perform in the coming months. Stay tuned for further updates.